With a low inventory of homes for sale at Sabino Mountain, it may be a good time to list your home for sale. Currently the list sales prices are 669K and $769,999 (both on Boulder Canyon), 928K (on Sabino Mountain) and a new one for sale for $1,250,000 (on Quail Canyon). Remember I am a phone call or email me away at 520-615-2598 or Donna@DonnaAnderson.com for all your real estate needs. The winter tends to be the busiest time of the year so it is a great time to consider selling your home. It should not have taken so long to sell this beauty at 4299 N Ocotillo Canyon Drive. Omni Homes International was the listing agent; it was on the market almost five months. The upscale in-ground spa has high Santa Catalina views; the front has an exquisite brick gated courtyard. The List Price is 350K; I will let you know the final sales price when it closes escrow next month. Lucky buyers scooped this one up; it sold for much more in 2008. After being on the market this time for over 5 years and also being listed previous to that, finally Lot 208 on Sunset Cliff Drive is under contract! The List Price is 135K which is very low; it sold for 140K fifteen years ago. This property is presently listed by Long Realty. It is a 1.32 acre lot and sits next to another lot and then it is pretty much by itself. It has some nice city views. In response to a Sellers’ wonderment about the state of the Sabino Mountain housing market I had to tell them it is not a Sellers’ Market. Seems a real estate agent told them that was the case. A Sellers’ Market happens when houses usually stay on the market for less than a month’s time and many times they get multiple offers on their house that is for sale. This is not happening here except in rare circumstances- many times when either the Sellers get lucky or the house is priced too low. The real estate market is slowly but steadily improving in the Catalina Foothills but there is only slight sales price appreciation seen from sales in the past few years. In a Sellers’ Market prices appreciate rather quickly and while we are hoping this will happen to us, that fast paced housing market has not occurred in our market yet. Interest rates have gone up but remain near historical lows so it is always a good time to buy or sell if you have realistic expectations. If you want to know what your home is worth because you are thinking of selling, give me a call at 520-615-2598 or email me at Donna@DonnaAnderson.com. I promise excellent service; let my 30+ years of experience work for you! I have sold 15 in our community and have resided in beautiful Sabino Mountain for almost 14 years. So far this year we have sold 7 and there are 2 under contract (one with a List Price of 379K and one with a List Price of 800K). Last year for the entire year we sold 15 with price ranges from 295K – 1.2 million. It is apparent the non-custom homes have not appreciated from last year; on the other hand the custom homes are doing slightly better than last year. There has been an uptick in the number of homes sold in the Catalina Foothills– especially in the custom home price range of 800K- 900K. I just sold one in this price-range and noted some homes new to the market were listed for sale and in a week or so were quickly snatched up and under contract. 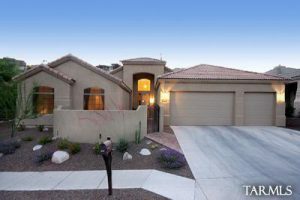 In marketing your home, it is best to have the best photography and a knowledgeable real estate agent who has a lot of experience, plus knows Sabino Mountain well. I think the reason some homes have stayed on the market in Sabino Mountain for a long period of time is that they need a change in price and/or change in real estate agent. Once the home is on the market over six months’ time, it gets stale and less attractive to those buyers that are new to the market. Remember I am a phone call away at 520-615-2598 or you can email me at Donna@DonnaAnderson.com. 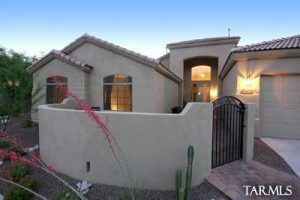 I have sold 15 in our beautiful neighborhood and consider Sabino Mountain a paradise! You are currently browsing the Sabino Mountain Blog blog archives for November, 2017.